Whether you are under investigation or have already been arrested by state police or federal authorities, if you have been implicated in a white collar crime it is time to seek experienced legal representation. At the Pensacola law offices of Michael J. Griffith, P.A., we represent individuals throughout the Southeastern United States facing all types of white collar charges. If you are facing charges for any of these or any other white collar crimes, our attorneys will put the gloves on for you and fight to keep you out of prison and protect your good name. 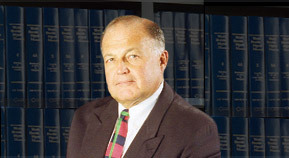 We have over 35 years’ experience representing alleged criminals facing both state and federal charges. Our Pensacola criminal defense lawyers have successfully defended numerous individuals facing white collar allegations, and we can do the same for you. We have our own in-house computer forensic experts, and through our experience we have developed a comprehensive understanding of the complex legal, financial, and technological issues that come into play in white collar investigations. Unfortunately, by the time you learn that you are being investigated, time is already not on your side. Federal white collar investigations often involve months of planning, surveillance, and gathering of evidence against you. At Michael J. Griffith, P.A., we leverage our resources to help level the playing field for our clients. Once we take on your case, we will quickly begin researching and strategizing in order to establish your defense. There may very well be numerous defenses we can raise on your behalf, including constitutional issues, prosecutorial misconduct, lack of proof, and misidentification. Armed with as much information as possible, we will do everything within our power to achieve a favorable outcome in your case. If you were arrested on white collar crime charges in the Southeastern United States, please contact us right away. Our Pensacola lawyers are ready to put their vast knowledge and decades of experience to work for you.